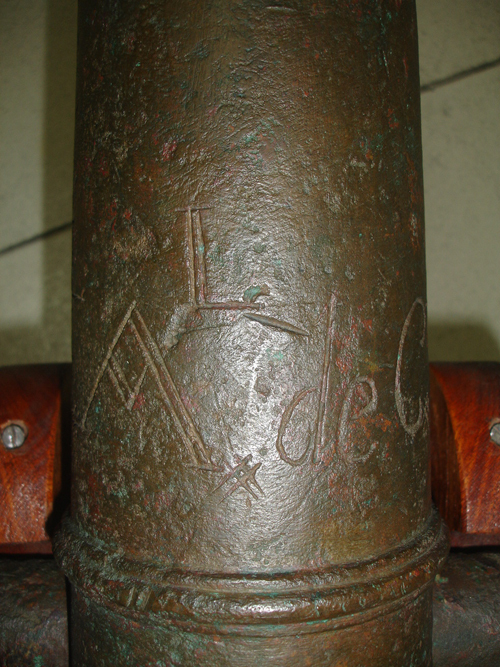 The Rare Bronze Signal Cannon has a Swedish Crown seal with Gustavus Frederick (Gunfounders Mark) and other interesting markings throughout! 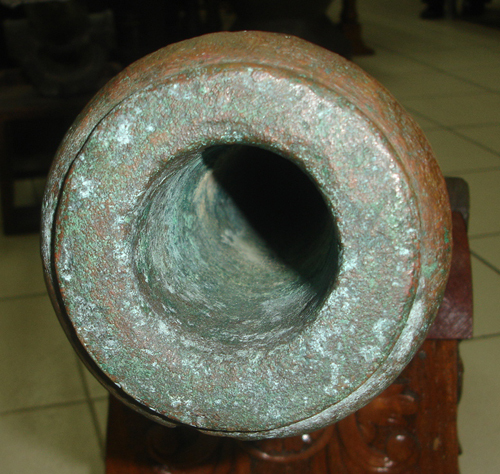 This Scandinavian Cannon was recovered off of a shipwreck in the southern Philippines. 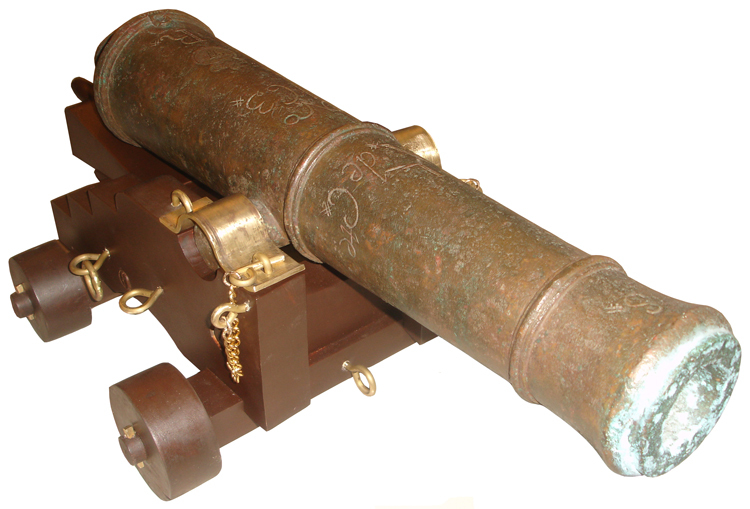 One thing that makes this particular cannon so interesting is because of all the unique markings on it. See marking details below to the right of each photo. 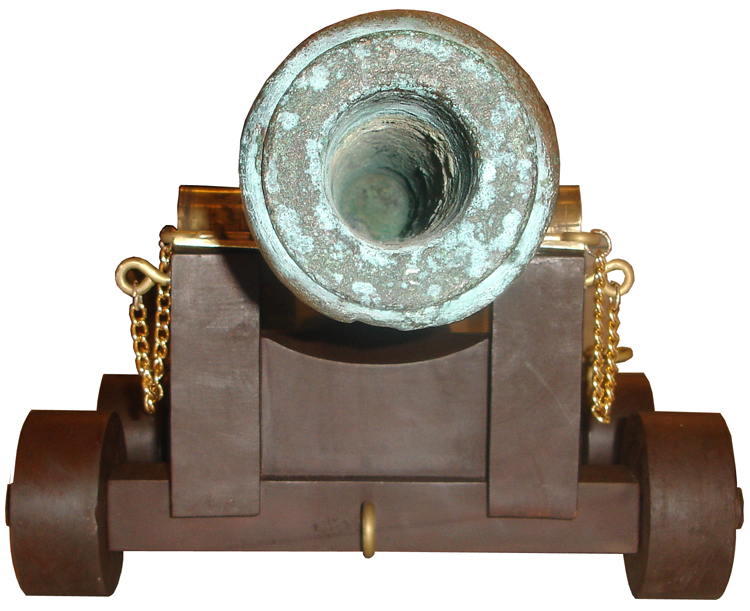 This item would be a GREAT DISPLAY, DECORATION and CONVERSATION piece for any; home, office, store, museum, etc! 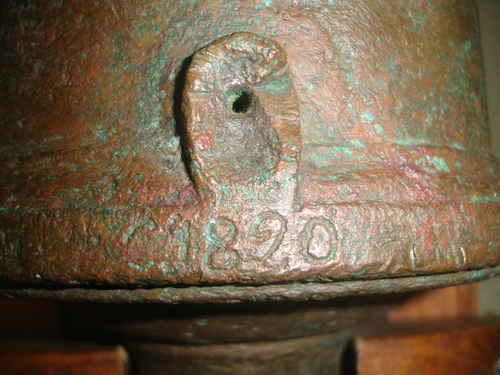 1820 stamped on top of the breech just behind the touch hole - This may be the WEIGHT in Skalpunds (but I haven't been able to calculate it to pounds yet). Rxxx on the 1st Reinforcing just forward of the touch hole (no idea what these letters mean or stand for). 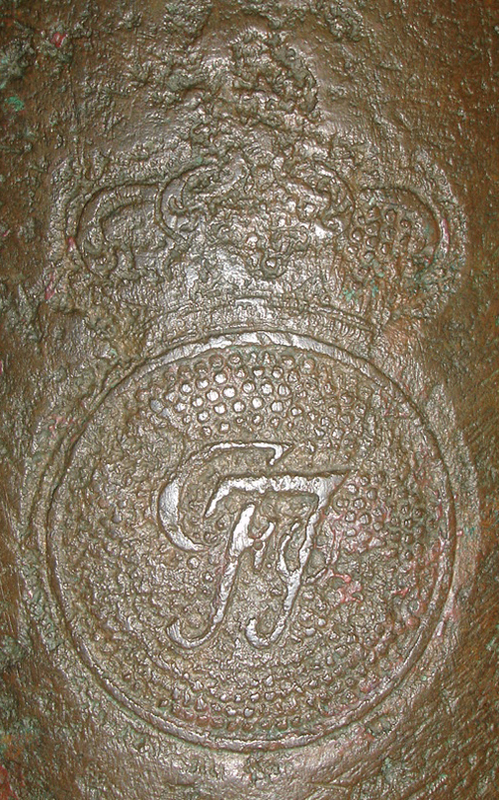 Scandinavian Crown seal with the letters GF stamped in the center on the 1st Reinforcing just forward of the R.
GF is Gustavus Frederick (the Swedish Gunfounder). 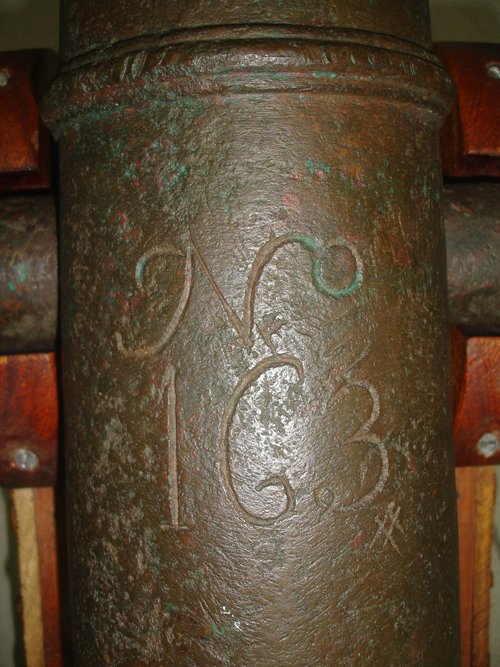 No 163xxx stamped on the 1st Reinforcing just forward of the Crown seal - This should be the GUN NUMBER. 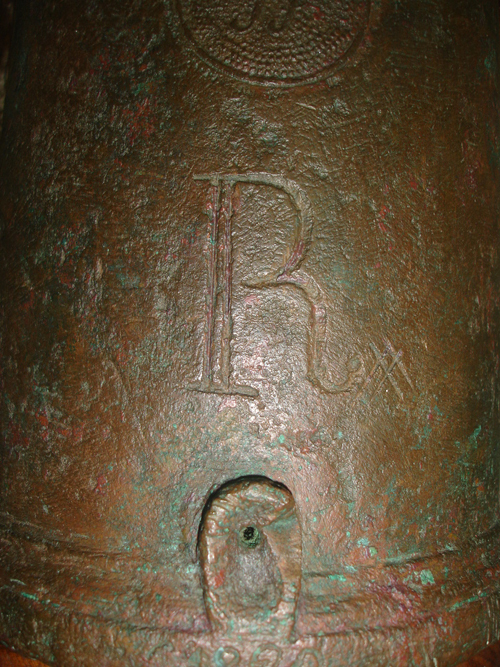 R Axxxx de Cxxx stamped on the 2nd Reinforcing just forward of the trunnions (no idea what these letters mean or stand for). 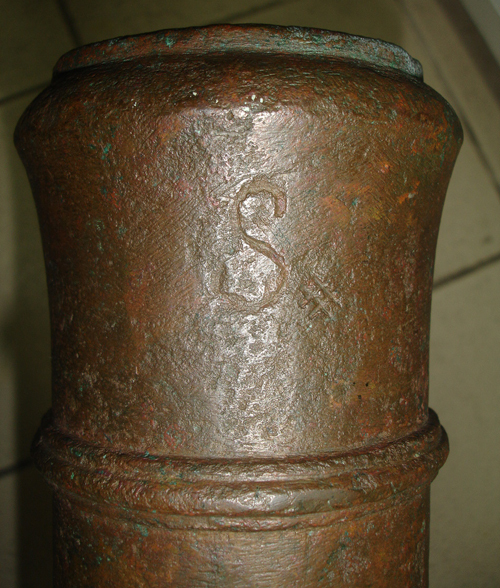 Large Sxxxx stamped on the top of the muzzle - This should have something to do with the GUN SIZE. 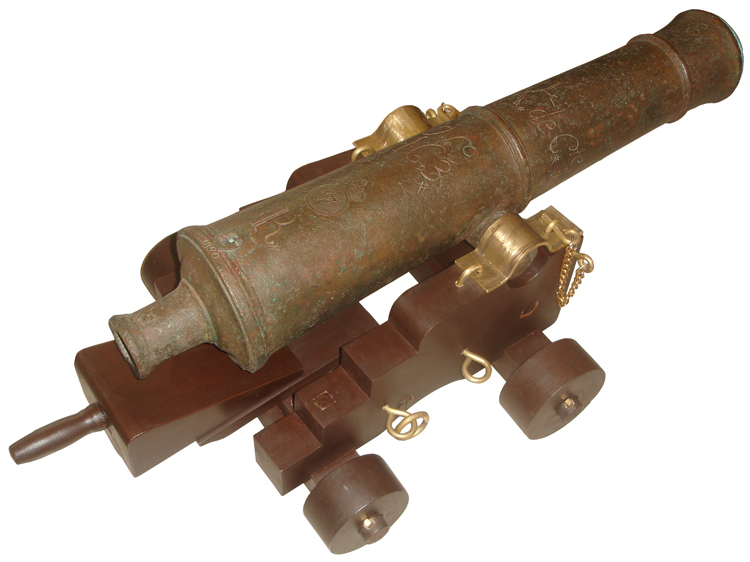 Bore diameter is 2 5/16 "
Shipping cost to USA via DHL is $530 for the barrel and $173 for the wood sea carriage ($702 Total). If you wish to ship via surface to your nearest USA port via SEA FREIGHT that is around $300 to $350. Please email with your NEAREST PORT so I can check the price for you. 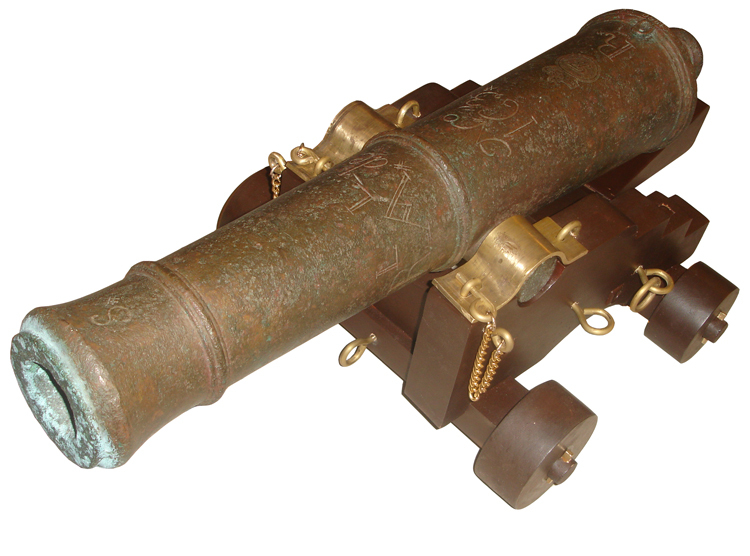 If you wish to other destinations please give me your nearest port so I can calculate the cost.